This is a beautiful photo frame with 5 picture slots. 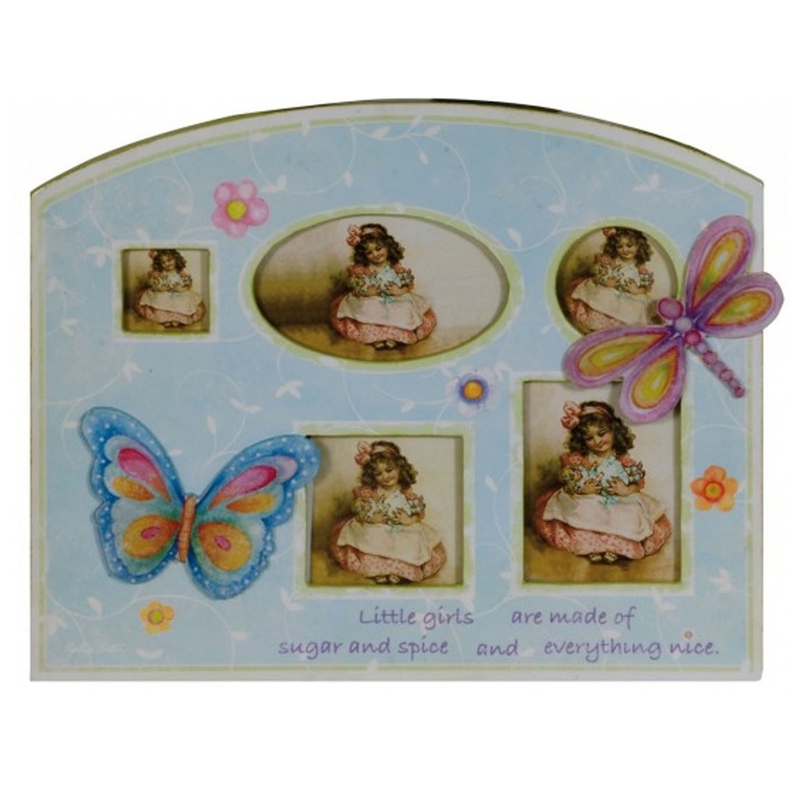 It's got a magnificent design which is perfect for a little girls room. It has a lovely blue colour with some pretty insects and flowers. It has a butterfly and a dragonfly on, it would look amazing in any home because of it's cute design.